Other news, sports and advertisements of the day. 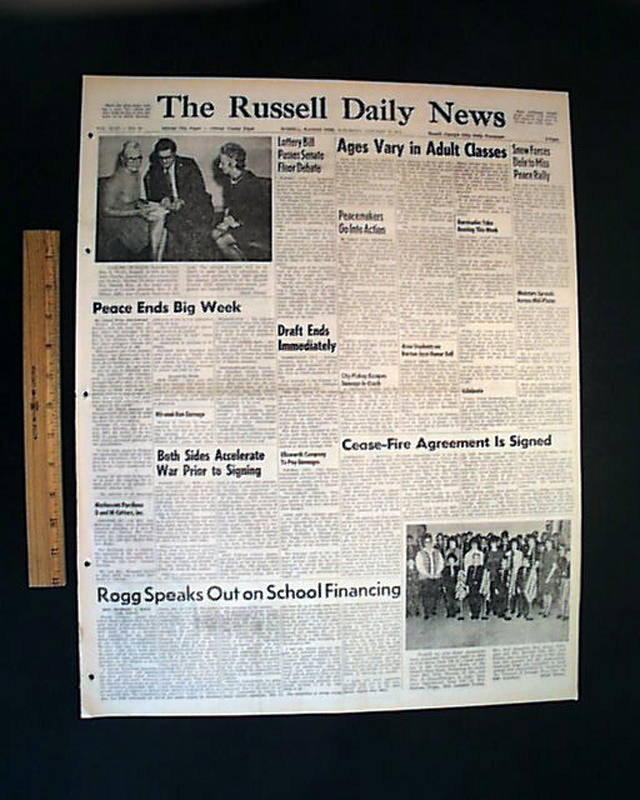 A few small binding holes along the spine, otherwise in good condition. 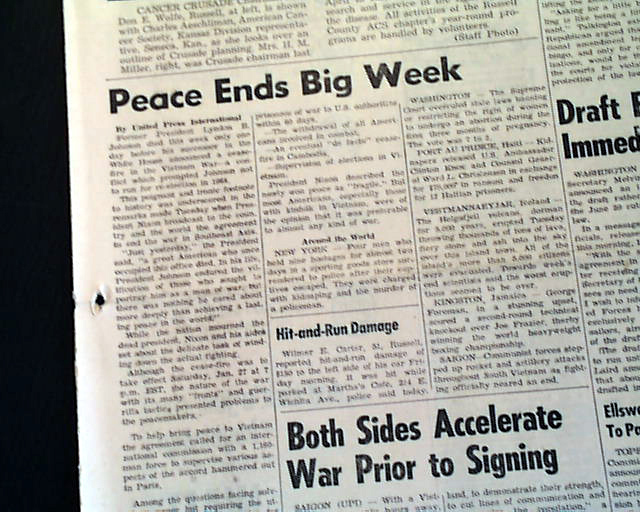 wikipedia notes: The Paris Peace Accords of 1973, intended to establish peace in Vietnam and an end to the Vietnam Conflict, ended direct U.S. military involvement and temporarily stopped the fighting between north and south. 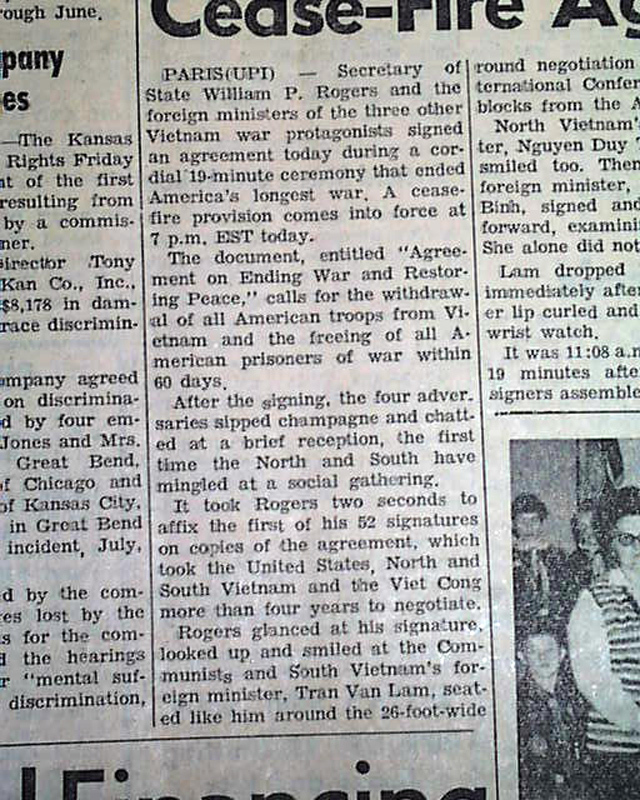 The governments of the Democratic Republic of Vietnam (North Vietnam), the Republic of Vietnam (South Vietnam), and the United States, as well as the Provisional Revolutionary Government (PRG) that represented indigenous South Vietnamese revolutionaries signed the Agreement on Ending the War and Restoring Peace in Vietnam on January 27, 1973. 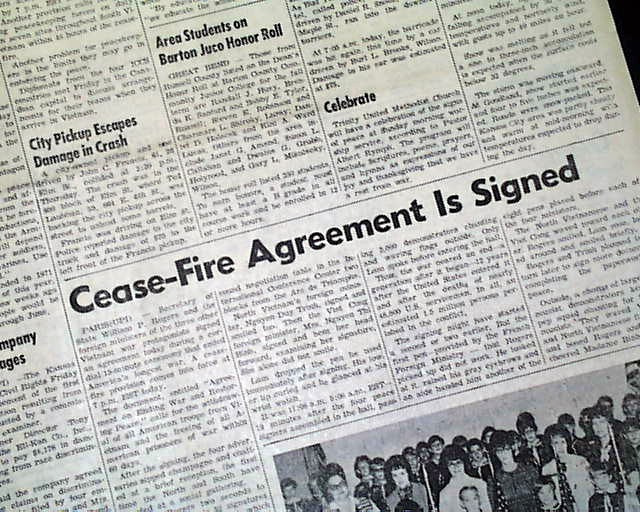 The negotiations that led to the accord had begun in 1968 and had been subject to various lengthy delays. As a result of the accord, International Control Commission (ICC) was replaced by International Commission of Control and Supervision (ICCS) to carry out the agreement. 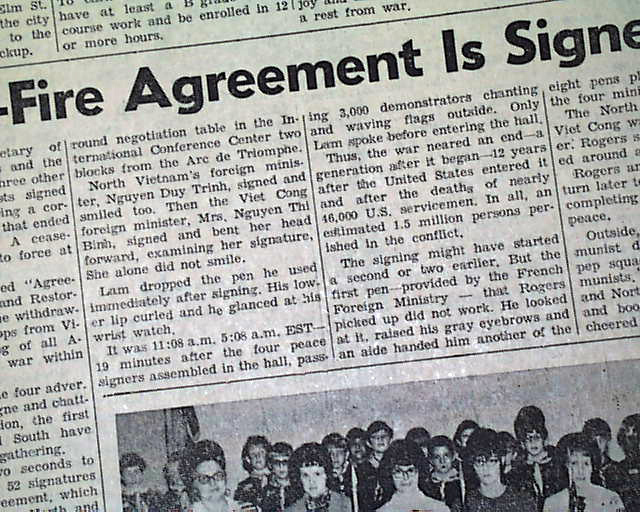 The main negotiators of the agreement were United States National Security Advisor Dr. Henry Kissinger and Vietnamese politburo member Le Duc Tho; the two men were awarded the 1973 Nobel Peace Prize for their efforts, although Tho refused to accept it.